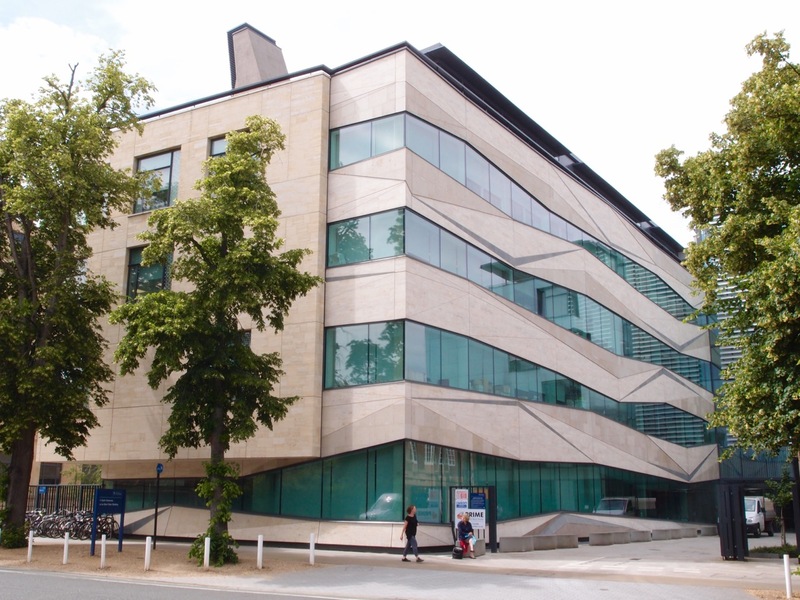 A building for the former Department of Geology and Mineralogy, now the Department of Earth Sciences, comprising office space, research and teaching laboratories, lecture theatres, computer facilities, and a library (Wilkinson Eyre, 2010). This large building in the Science Area expresses its main purpose in its form and materials. On the long, east facing ‘narrative wall’, two varieties of pale stone in faceted, angular forms are layered with blue tinted glass, while the other main facades are clad in high quality Clipsham stone. As in the neighbouring Chemistry Research Laboratory, a wing of laboratories is linked to a wing of offices by an atrium, which provides a social space for the building users. References: Hugh Pearman et. al., Tectonics: a building for Earth Sciences at Oxford, London, Black Dog Publishing, 2011.